WASHINGTON – Meet Grace Eline. You should see the 10-year-old Gillette resident if you see the state of the Union on Tuesday night. She is one of the guests, President Donald Trump, who brings to hear his speech. At an early age, Grace decided to ask for charitable donations to St. Jude Children's Research Hospital instead of birthday presents for themselves. At age 9, she was diagnosed with germinoma, a germ cell brain tumor. She began her cancer treatment in May 2018 and recently completed chemotherapy. In the hospital she visited other patients and helped them encourage them even though she was in treatment. 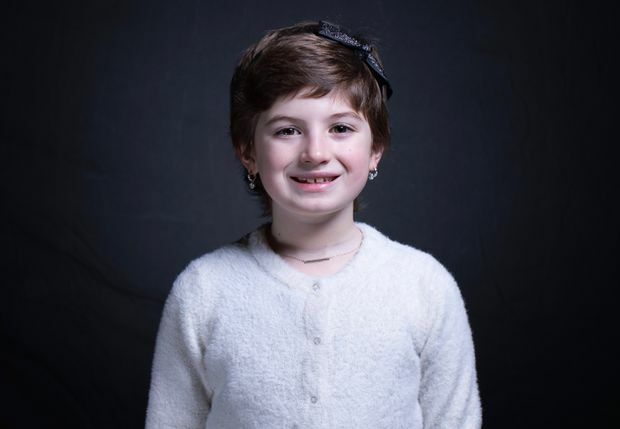 She was named the American Childhood Cancer Organization in October. "This little warrior emits good vibes and positive energy 24/7," said the group. 0 in December. Her interests include gymnastics, softball, bicyling, reading, painting and swimming. "Anyone who knows Grace will tell you that she has always been special," said the White House, stating that she would be in the state's address. "Wherever she goes, she shines the room with her kind heart and contagious smile." Other White House guests include a survivor survivor who also survived the mass shooting in a Pittsburgh synagogue, law enforcement, a person who overcame opioid dependence and a former prisoner who was originally sentenced to life imprisonment in a violent drug case. Jonathan D. Salant can be reached at jsalant@njadvancemedia.com . Follow him on Twitter @ JDSalant or on Facebook . Find NJ.com Policy on Facebook .